Some of the lettuce and arugula I sowed way back when. Still going strong, thus far untouched by frosts and freezes, bunnies and deers, despite being completely unprotected due to my never getting around to doing anything to protect it. 50 and even 60 degree November and December days have aided in it's longevity too. We're having a little cold snap right now, but it looks like the warm temps will be back. Last winter was creepily mild, and so far this one's shaping up the same way. 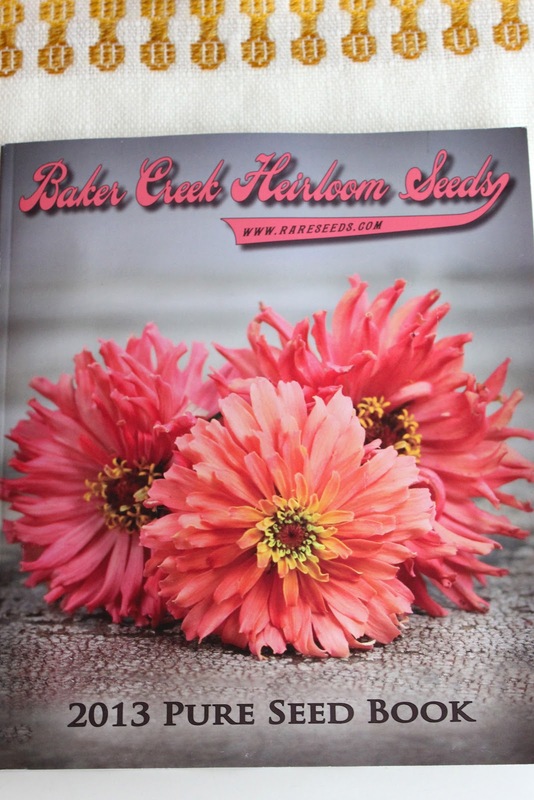 This came in the mail the other day, featuring super-lovely Pink Senorita Zinnias on the cover of which I grew a nice little crop this summer. They were the stars of whatever arrangement they went into. Not sure where the garden will be next year, nor if it will be a whole plot of flowers, herbs and veg or a few pots on a patio. But that doesn't make all of the possibilities a seed catalog in the mail (especially Baker Creek) holds any less exciting. I will continue to be and grow as a gardener, if not a flower farmer. More details soon.